The stockings are stuffed and hung, the gifts are wrapped, the food preparations are underway and family is beginning to arrive.. such a busy time of year. But full of so much. Full of love, laughter, excitement, joy, a bit of sadness for those that can be with us this year, and the quiet moment when we remember a baby, a manger, shepherds and the humble birth of our Lord and Savior. The reason the we gather, the reason we celebrate, the reason we are saved! It's now time to breathe, celebrate, and find joy in God's gift of salvation. So Far This Week One word best describes this week.. busy! It's been a week of getting gifts together, organized, wrapped and under the tree. 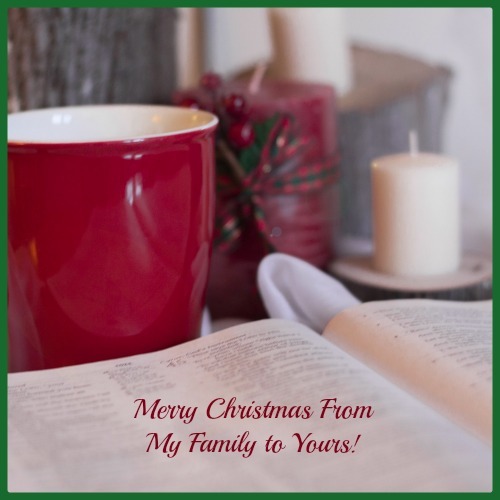 I just got my Christmas cards out today and did grocery shopping this morning (which is why this WSS is so late today) to purchase items for not only our Christmas dinner but the days before and after that I'll have family here. So hard to believe it's only one week until Christmas. I've not figured out my Christmas menu yet so that is on my mind. But for this week I'll keep it simple again as I'm trying to finish up all the other Christmas related tasks. The only meal from last week that we did not have was meatloaf. So that will be tonight's dinner. I'll serve it with baked potatoes, acorn squash and salad. Chicken Soup I've been doing a little twist on my chicken soup lately that has been a big hit. Instead of noodles I add pot stickers at the end and add a little soy sauce or Yoshida's sauce to the soup broth. This is really yummy. I buy my pot stickers frozen from Costco. I plan to make biscucts and a salad to with the soup. So Far This Week It's an early morning (here on the West Coast) WSS. Hubby and I have errands to run, grocery shopping and a visit with his brother on our to do list this morning. This month is moving right along. I'm working to stay on top of my game in regards to Christmas planning so my weekend was all about Christmas prep. We survived on leftovers, fresh fruit, salads and wraps. So tonight I'm making chili for dinner. It was on last weeks menu and is being bumped over to tonight. I'll make some corn muffins and a salad with this. Meatloaf I have one in the freezer so that will make an easy meal. I'll serve mashed potatoes and a veggie or salad, or both on the side. Chicken Tacos There easy to do in the Instant Pot. I cook the chicken, shred and add salsa and sometimes cream cheese. Then assemble the tacos just as you would regular ground beef tacos. I plan to serve black beans and a salad with this meal. When my daughter Sierra was here a couple weeks ago we put up our Christmas tree. She really wanted to do this while she was here and I was happy for the help and company. It made us reflect on our long held family tree trimming tradition. All my children remember it and what precious memories these things are for them to carry into their adult lives. 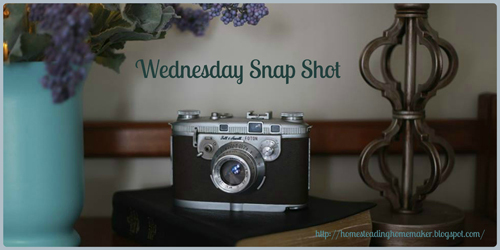 So Far This Week Wednesday Snap Shot is late today. Hubby and I got up super early and headed into town. We wanted to be first in line to get an oil change and then went to Home Depot, the grocery store, Costco and the bank. We were home before noon, which is great timing considering we live 45 minutes from the city. Groceries are now unpacked and I have a hot cup of coffee sitting next to me and am ready to roll. It was a busy week last week for our family. I was thankful to have a lot of leftovers from our Thanksgiving dinner. We had the main dinner leftovers and I made soups and casseroles from the rest. I am however equally thankful that we have eaten all of them. I will be quite content to not see turkey or ham for a while now :). Tonight we are having hamburger rice enchiladas. I'll make a salad and serve tortilla chips and salsa with them. Asian Braised Pork Shoulder My daughter Emily recommended this recipe to me. You can find the recipe HERE. I'll serve rice and a salad with this. Chili I love my Instant Pot Chili. I don't think I've shared the recipe. I'll do that soon. I plan to make cornbread and salad to accompany this meal. BBQ Baked Chicken Chicken pieces baked and smothered with bbq sauce.. yum. Macaroni & Cheese and green beans will be served on the side. 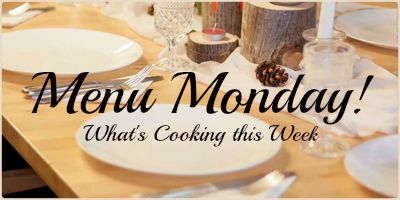 I'm taking this week off of my regularly scheduled blogging. My father in law passed away last weekend. I will be back next week. So Far This Week I'm on the late side today in getting my WSS out. Hubby has the week off and we are enjoying our vacation mode. Good morning! It's looking like a busy week ahead. We'll be having our family Thanksgiving dinner on Sunday and on Thanksgiving Day we'll be celebrating my youngest daughter's birthday. Today I'll be gone for a good portion of the day so I'm going to make it easy on myself and have some orange chicken and pot stickers for dinner. I purchase the orange chicken and pot stickers from Costco and keep them in the freezer for days just like this. I'll serve a salad on the side. Taco Bar I asked my daughter what she'd like for her birthday dinner and she said, what ever you make mom will be great.. :) so I decided to have a taco bar. Lay out all the goodies and options for taco's and let everyone enjoy.